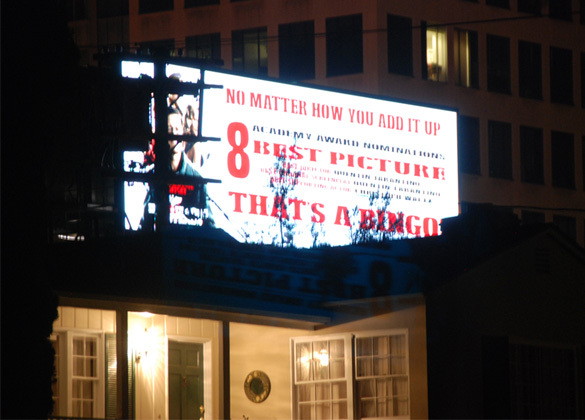 Thumbs Down: Court’s Reaction to Billboard Company’s Plan for New Digital Billboards in L.A.
Digital billboard in West L.A. in 2010. It has since been turned off. 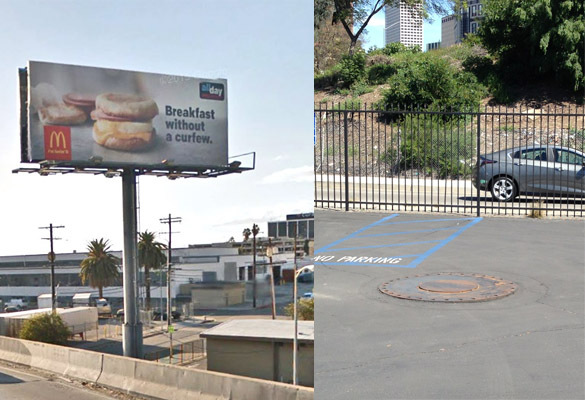 A Louisiana billboard company’s hopes to put up new digital billboards in a wide area of Los Angeles appear to have run aground in the California Court of Appeals. 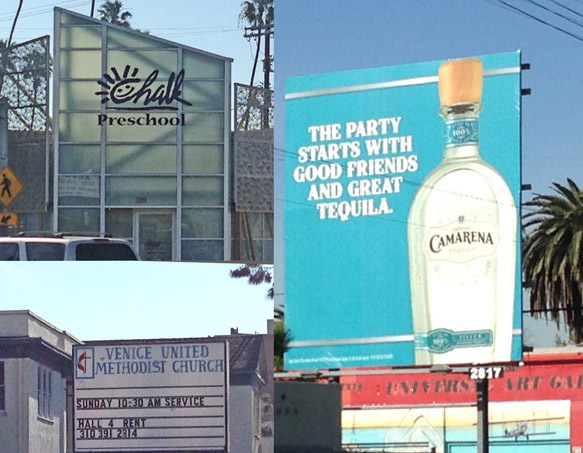 The billboard with the tequila ad is less than 500 ft. from the preschool and the church. Several months ago, we pointed out the fact that a Clear Channel billboard on Lincoln Blvd. 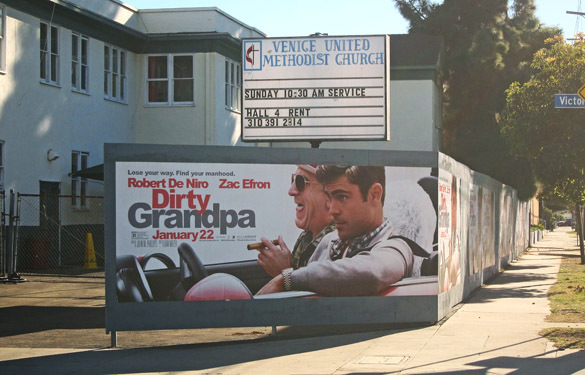 in Venice violated an outdoor advertising industry code regarding the proximity of alcohol ads to schools and places of worship. 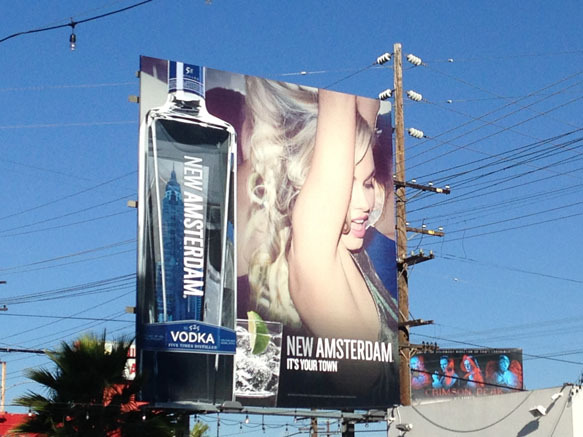 That ad for New Amsterdam vodka was recently removed, but what’s displayed now on that 52 ft. high, 624 sq. ft. sign? An ad for Camarena tequila. 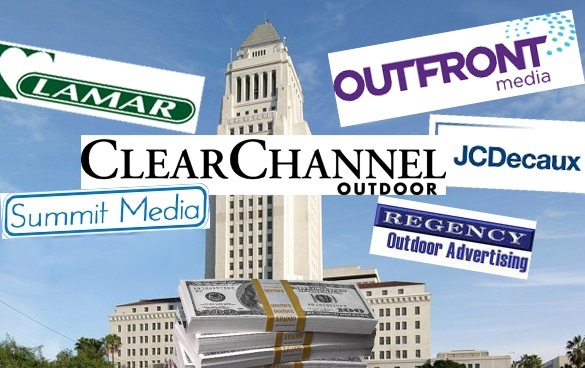 With the city’s legislative agenda containing such hot-button issues as allowing new digital billboards and granting amnesty to unpermitted and non-compliant signs, it’s little surprise that L.A. billboard companies spent almost $2.3 million last year lobbying council members and other city officials. What a difference a dozen years makes. 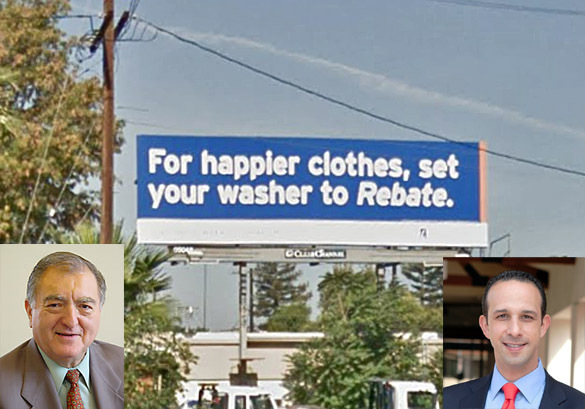 Back in 2002, L.A. City Councilman Hal Bernson called for the removal of an unpermitted billboard in his San Fernando Valley district and the prosecution of its owner. 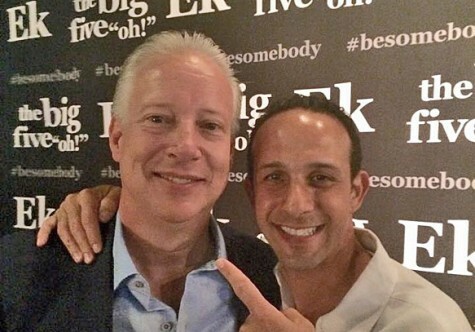 But in 2014, the councilman now representing that district, Mitchell Englander, called for granting “amnesty” to that billboard and almost 1,000 others the city has identified as either lacking permits or having been altered in violation of their permits. 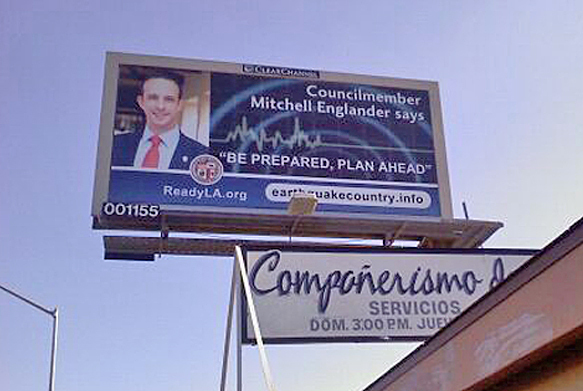 Billboards like this one for the city’s earthquake preparedness campaign went up prior to Englander’s proposal to grant billboard amnesty. At a meeting of the L.A. City Council’s PLUM committee on Dec. 16, 2014, Councilman Mitchell Englander told his fellow committee members that the city should grant “amnesty” to almost 1,000 billboards that either lacked permits or had been altered in violation of their permits. Failure to do this, he claimed, would embroil the city in time-consuming, expensive litigation.